An article on some common and recurring weak argument and debating tactics that Latter-day Saints use in their defense of Mormonism that result in weak arguments. The last article in this series created quite a stir. It was “grass catcher” list of weak arguments and debate tactics that mainstream Christians regularly use that undermine their engagements with Latter-day Saints. And while the article was warmly, often even enthusiastically, received on both sides of the Evangelical-Mormon divide, a common response was, “OK, where’s the equivalent list for Mormons?” Well, the wait is over, here it is. 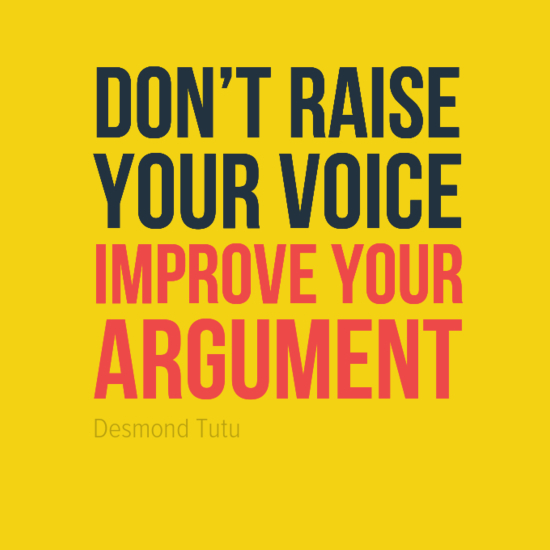 Attack your debating opponent instead of their evidence or arguments. Use ad-hominem arguments. Misrepresent or exaggerate your debating opponent’s arguments so they’re easier to overcome. Use straw man arguments. Over generalize! If you’re the only Mormon who believes something say that all Mormons do. 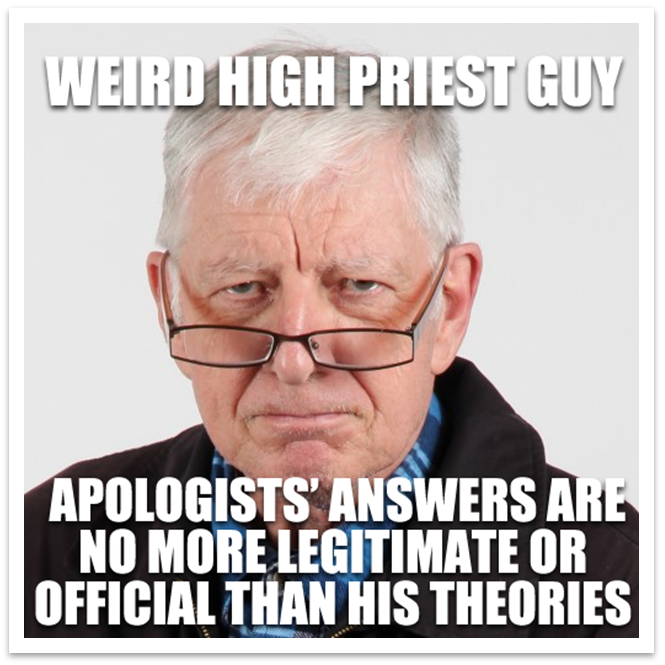 If an uncorrelated, progressive, or Neo-Orthodox Mormon (like Terryl or Fiona Givens for example) makes an unorthodox claim then point to it as the norm. Claim that a “one off” address by a modern Mormon Leader represents what Mormonism has always taught throughout it’s history. You know, do things like point to Brad Wilcox’s 2011 BYU devotional, “His Grace Is Sufficient” or President Uchtdorf’s, Spring General Conference 2015 address “The Gift of Grace” and claim that they accurately represent official current and historic LDS soteriology. In a similar vein, stereotype! For example, identify a mainstream Christian who has behaved badly (Jim Bakker, Jimmy Swaggert, Ted Haggard, etc.) and treated God’s grace and mercy as a license to sin, and then claim that all mainstream Christians behave this way. After all, Mormons never do that (think John D. Lee, Paul H. Dunn, Porter Rockwell, Wild Bill Hickman, John C. Bennett, Sidney Rigdon) do they? Use your conclusion as evidence for your argument. Engage in circular logic – you know something like, “I know that the only true church is The Church of Jesus Christ of Latter-day Saints because I have an inner witness that it’s the only true church.” I mean, really, who can argue with logic like that? Present speculation and conjecture with no supporting evidence to back them as fact. Argue from silence. 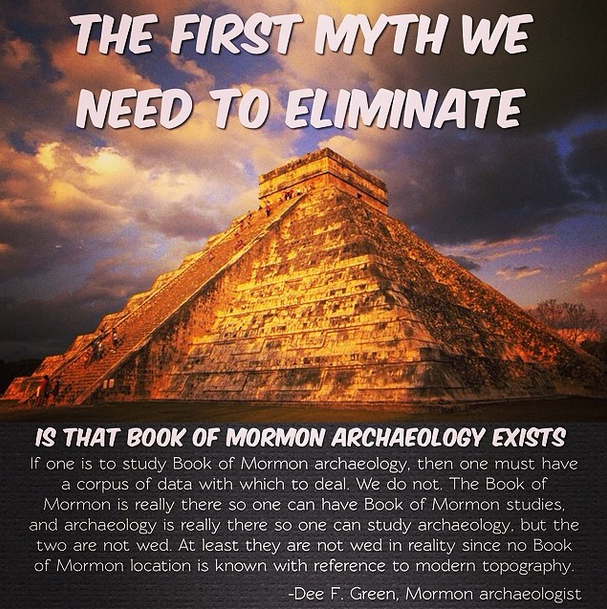 For example, argue that the lack of archaeological evidence for the Book of Mormon proves nothing. Even better, argue that the lack of such evidence actually proves that it’s true because God is using it to test our faith. Bifurcate rather than nuance. Claim that there is only black or white, good or evil, on or off. Create false dichotomies. Argue that because you don’t know or understand something it must be false. Or better yet, to claim that something must be true! Use your ignorance as irrefutable proof that your debating opponent is wrong. When in doubt appeal to ignorance – I mean, sure, it makes you look like an uninformed fool, but what the hey! Don’t support your arguments with any evidence (let alone objective evidence). And if challenged, act indignant and offended that you should be required to produce any evidence at all! I mean, after all, isn’t the burden of proof on the person not arguing your position? You know, just like it’s the prosecuting attorney’s job to produce evidence for the defense in a criminal case – yeah, it’s like that. Assert that something is true simply because you’ve said it is. After all, your word is good enough, right? I mean, come on, you’re Mormon, and therefore, you know everything about Mormonism by virtue of that fact – that should be enough, right? Appeal to yourself as authority – use yourself as indisputable, absolutely authoritative, irrefutable evidence! Why does anyone need to research anything when the best, most reliable source is right there in front of them telling them the way it is? Use testimony bearing or “the witness of the Spirit” as evidence. Argue from feelings, promptings, and impressions and other appeals to emotion. Assert that your debate opponent “doesn’t get it” and “can’t get it” because they don’t have the Holy Ghost and, therefore, can’t hear His voice. And when you do make sure that you’re as condescending and arrogant as possible in using this variation on the ad-hominem fallacy so they can fully understand and feel the great depth of their state of blindness. Argue that because something is popular it must be true. Drive that bandwagon fallacy right over your debating opponent! For example, argue that Mormonism must be true or it wouldn’t be growing so fast worldwide. Uh, by the way, about that “growing so fast” claim . . .
Don’t acknowledge when your debating opponent makes a valid point. Never surrender, never give in! After all this war right? Subjective v. Objective Evidence. One can proved by means of search, like analysis, measurement, and observation and one can’t. One is valid and unchanging regardless of one’s feelings, and one isn’t. Suddenly and without warning disappear from the debate. Let chirping Mormon crickets argue for you instead. If there were a name for this it might be called the “Cop Out” or “Argue with my Back!” Fallacy. And some Mormons seem to like it a lot – especially when they’re issued a “OK, show me where I’m wrong” challenge. Don’t give your debating opponent’s evidence any serious consideration. Better yet, just ignore it and act like it doesn’t exist. For example, even though mainstream Christians repeatedly tell you that they believe in, “Salvation by grace alone through faith alone,” continue to argue that they believe in “Salvation by grace alone” and pound away on that straw man argument. Ditto for challenging questions. Ignore them. Socratic Method is so stupid! Don’t become familiar with your debating opponent’s culture and language. After all, if they have anything of value to say they can say and do like we do it in Mormon culture! After all we’re better than they are, aren’t we? Be condescending because, frankly, we really are better than they are – especially all those lousy, despicable “Anti’s” out there who hate and only want to destroy God’s only true and living Church. Speaking of “Anti’s”, always label. After all labeling is a wonderful defense mechanism since once it’s done you can stereotype and thus deceive yourself into feeling like you have power over them. And if you use negative labels you can condescend to those below you – even better! And have we recommended arrogant condescension yet? Oh, we did? Well you can never emphasize that one too much can you? It’s a good one – it puts those “Anti’s” right in their place! Use special pleading fallacies. Argue that rules, laws, evidences and realities that apply everywhere else don’t apply to Mormonism. 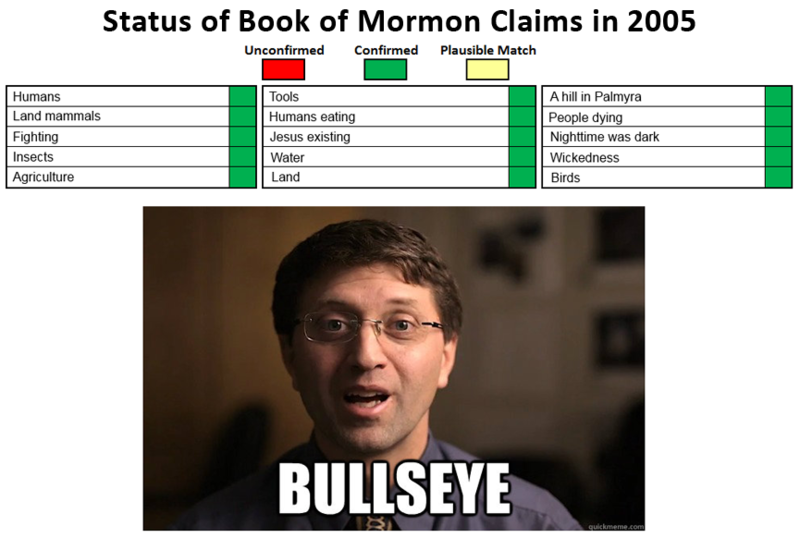 I mean, come on, why should DNA evidence apply to the Book of Mormon people anyhow? Really people, really? Assert your Priesthood Authority whenever possible. I mean, it means absolutely nothing to anyone or carries any weight outside of Mormonism but why not? And I assert this in the name of the Royal Priesthood! Use lots and lots of insults and personal attacks! Oh, did we already mention this one? Oh yeah, that was kinda included in the very first one by implication wasn’t it? Well, since this is one the most common weak arguments used by Latter-day Saints, it probably bears repeating doesn’t it? Appeal to authority from sources that Mormons would never preach from or use in their services since they attack and undermine the fundamental truth claims that undergird Judaism, Mormonism and/or mainstream Christianity. This includes, but isn’t limited to: John Shelby Spong, The Jesus Seminar, Robert Price, Margaret Barker, James Tabor, Richard Dawkins, and Bart Ehrman. Yeah, it’s kind of like drinking your own poison or shooting yourself in the foot but it’s better to be hospitalized or lose a foot if it protects Joseph Smith and modern Mormon dogma ain’t it? Besides it’s fun to argue like an atheist! Cite from unofficial, uncorrelated Latter-day Saint sources as if they’re official voices of the Church. First and foremost do so with with your own personal opinion – state it as if it’s being delivered by the President of the LDS Church at General Conference himself. After that move onto Mormon Apologist websites like FAIRMormon or Lightplanet. Not official? Who cares – after all a rock can be a fork if it gets the job done, right? Cite from partisan Mormon Apologists but then object strenuously when your debating opponent cites from Mormon Critics. Sure it’s a hypocritical double standard but weak and inexperienced debaters may not catch or call you on it – so go for it. For example, cite from Sorenson’s “Mormon’s Codex” but then throw a hissy fit when someone cites from the Tanner’s “Mormonism Shadow or Reality?”. Which brings us to another Latter-day Saint rhetorical favorite: Use double standards. 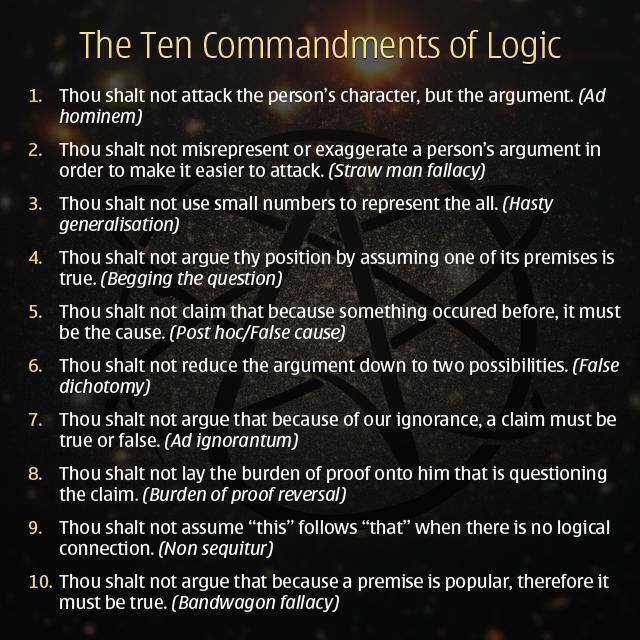 For example: First, demand that your debating opponent produce a single verse from the Bible that explicitly proves the Trinity rather than building a case from several verses throughout the Bible; Then claim that they’re making a ridiculous and unfair demand on you when they demand the same “single verse as the standard of proof” for Celestial Marriage. Ignore the rules of sound text interpretation and hermeneutics. For example, use lots and lots of eisegesis – inserting meaning that the author didn’t intend and content into the text that the author didn’t say. Sound text interpretation and hermeneutics are based on exegesis – drawing meaning and content directly from the text – but that’s another subject for another day (probably an entire article in fact). Be inconsistent. 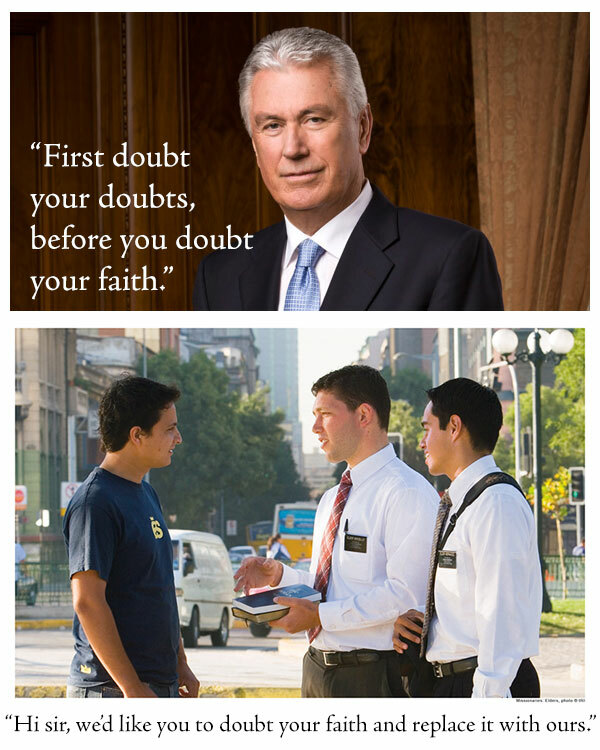 For example, bear your testimony as evidence that you have the witness of God that Mormonism is right and true. But when your debating opponent bears their testimony that they have the witness of God that Mormonism isn’t right or true, refuse to accept it claiming that it’s from a source other than God. Be confirmation bias driven. For example, argue that Mormon must be truth because Mormons are good, warm, loving, sincere, well intentioned people genuinely tiring to always be their best and do the right thing.In other words, use the “inspect the fruit” argument while ignoring the fact that most people are good, warm, loving, sincere, well intentioned people who are genuinely trying to always be their best and do the right thing. The only way that one can be blind to the fact that Mormons are hardly unique in this is to put those confirmation bias blinders on! Engage in Drama Queening. To continue from the previous example, get really indignant and offended when your debating opponent points out that one can be a good, warm, loving, sincere, well intentioned person and still be dead wrong. Better yet, threaten to withdraw from this place of persecution filled with haters! And if you do leave, make sure you cyber bomb social media about how you’ve been unjustly wounded, hounded, and wronged by these modern Korihors. Bleed over everything and everybody – let it flow like a river! Guilt manipulate baby, it works like a Jedi mind trick! Use Postmodern relativism as a defense. Say something like, “Well if what you believe works for you and what I believe works for me then who’s to say that the other person is wrong?” If that’s the case then all the Mormon Missionaries need to be called in from the field and the program shut down since what all those folks already believe is working for them, right? Who’s to say that they’re wrong, right? Instead of directly engaging your debating opponent’s arguments try to parry with a, “Well, what about when you and you guys? You do and say such and such!” Tu Quoque fallacy ’em to heck! I mean it’s really a non-argument because the moral character or past actions of the opponent are generally irrelevant to the logic of the argument. But what the hey, if they’re stupid enough to “bite” why not try it if it gets Joseph Smith and Mormonism off the hook? Then again, a trained logician will call you on and you’ll just look foolish . . . oh well! Use aliases and sock puppet accounts to hide your true identity so you can behave badly online. Yes, it’s yet more sociopathological behavior but, hey man, if you used your real identity you’ve have to behave better in public or your reputation would be ruined wouldn’t it? And we can’t have that! Lie for the Lord. After all if Muslims can do it and since past Mormon Leaders have done it, why not? Dismiss an statement as ridiculous or absurd without giving proof or reasoned arguments for why. In other words, engage in an “Appeal to the Stone” fallacy. For example, when a debating opponent produces evidence that Official Declarations 1 and 2 were born out of political, social, and financial expediency rather than anything divine (as evidenced by the fact that they refer to revelations but don’t actually give them) claim that the whole argument is, “Just ridiculous! Utterly absurd!” without offering any countering evidence for your rebuttal. Better yet, combine it with an, “And you’re just a cynical, hate filled ‘Anti’ for saying that!” ad-hominem to make it ridiculous and absurd. Engage in Psychological Projection: Project your behavior onto your debating opponent rather than acknowledging and owning it. For example, if you’re engaging in arrogant condescension accuse your debating opponent of looking down at you and having a superior air about them. If you’re angry, upset, and out of control accuse them of being angry, upset, and out of control. This is a wonderful defense mechanism, use it often! Yeah, it’s a form of self deception that keeps you in denial, but… whatever! Say things like, “The ends justify the means” to rationalize your bad arguments and behavior. Sure, it’s not scriptural, but why be picky when the defense of your testimony is on the line? Move the goalposts. For example, insist that your debating opponent only use official Church sources like the official church website. When they do insist that they didn’t interpret the content properly. 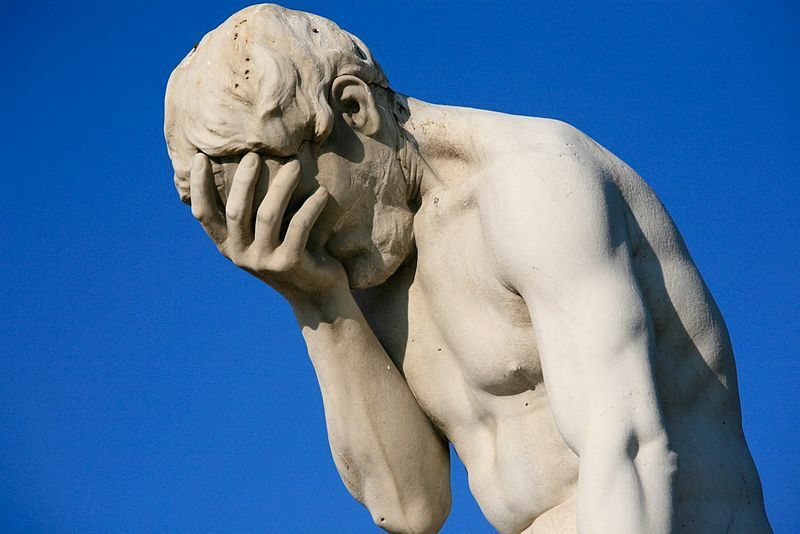 When they then cite Mormon Leaders who share exactly the same interpretation from the official church website, then pull out #13 and tell them that they can’t possibly truly understand Mormon Leaders or Latter-day Saint Doctrine because they’re not a member and, therefore, don’t have the Holy Ghost giving them the true enlightenment that you possess. And if they overcome that then pick up that goalpost yet again and, “Push ’em back! Push ’em back! Push ’em way back!” Eventually they’ll either call you on this fallacy or give up. Ignore or refuse to publicly challenge the bad behavior and/or bad arguments that you see fellow Mormons making. After all this is war and who wants to be a traitor to the cause right? Besides “Anti’s” deserve every bit of condescension and disrespect that we can muster don’t they? Hang the Golden Rule! Use the bad arguments and behavior of mainstream Christians to rationalize, compensate for, and justify any or all of the above. Assume that any constructive criticism from others on how to better engage outsiders (especially if it’s from “Anti’s”) is meant for everyone else. Assume that lists like this apply to every other Latter-day Saint but you. Mormon scriptural scholarship functions almost entirely within an enclosed, intramural world… Mormon Bible scholars face serious problems. This seems odd to me since, generally speaking, Mormons are better educated and higher degreed than the general population. Doesn’t all that good education require some training in logic, critical thinking, and civil rhetoric? If so, you would never know if from the sloppy, adolescent, rude rhetoric that many Latter-day Saints engage in public. Therefore, the first thing that Latter-day Saints could do to improve their public discourse would be to learn and stick to the rules of logic and rhetoric that most assuredly must have been a part of their secular education. The thin-skinned and image-conscious Mormon can display immature, isolationist, and defensive reactions to outsiders, perhaps because there is no substantive debate and no “loyal opposition” within their kingdom. With some, it almost seems that the wilderness is still untamed, the federal “polyg” police are on the prowl, and the Illinois lynch mob is still oiling muskets and preparing to raid Carthage Jail. All too often Saints use the label “anti-Mormon” as a tactic to forestall serious discussion. Read through the list of bad arguments again asking yourself this question, “Would Mormons be more or less likely to engage in this behavior if they didn’t presume that the world in general and their debating opponent in particular was against them?” I dare say that at least half – perhaps as much as three quarters of the list – would disappear were the Mormon Persecution Complex mindset were set aside. Stated plainly, Many Mormons are far too quick to play the victim, or over react in inappropriately aggressive, and unduly defensive ways simply because they’re perceiving an attack or persecution by their debating opponent when there simply isn’t one. In fact, due to this dynamic, and linking it with the logic and rhetoric issue previously discussed, all too often Mormons will play the “victim card” when all their debating opponent has done is expose the holes, gaps, problems, and fallacies in the argument that they’ve just presented. The wounded howls of these self-perceived Mormon victims can be found on just about every inter-faith discussion board (some Mormons lead with it as their opening argument) and the greatest tragedy is that it need not be. Where and how can my argument be improved? What valid points has my debating opponent made? What countering evidence can I present, along with stronger logic and reason, to overcome their points? Viewing that evidence through their point of view rather than my own, what countering arguments can I expect from my debating opponent after I respond? How can I word this so that it’s clear that I’m responding rather than reacting to my debating opponent? I think if you’ll do that rather than assuming that you’re being picked on or attacked and reacting defensively (as opposed to responding productively) you’ll end up making better, more convincing arguments in defense of Mormonism. This isn’t to deny that many outsiders, as the Joanna Brooks epigraph to this article stated, love to Mormon Bash – it’s a fact, many do. However, Mormon friends this isn’t true of all outsiders. And my dear Latter-day Saint friend you instantly erode your credibility just as soon as you play that card. So here’s the easy solution to the problem: Don’t play the victim card – ever. Finally, a question must be asked: Why wasn’t this article written by a Latter-day Saint? I know that Latter-day Saints are aware of the issues that I’ve raised above because privately they complain to me about them. In fact, when the last article in this series came out and woodshedded mainstream Christians for their weak arguments against Mormonism I was told, again privately, by several Latter-day Saints that many, if not most, of the items in the list were true of many Latter-day Saints too. However, publicly most Mormons will draw their Mormon Persecution Complex around them like a quilt, close ranks, and rail at “those nasty Anti’s!” Even worse, they will applaud the efforts of Mormon Apologists who regularly engage in polemics, pejoratives, bullying, and many of the items noted in the list above. So instead the task falls to the guy who has not only never been Mormon but is known primarily as a critic of Mormonism. In fact, I couldn’t even get a Mormon to co-author this piece with me – I tried! So here’s the deal Mormons: If you don’t like either the tone or content this article then publish a better one – I challenge you to. Finally, let me give you a tip: The wrong way to respond to this article is to write protest articles about how unfair I was to Mormons, or how I singled them out for persecution, or how little I understand about what it’s really like to be a Mormon being endlessly picked on by outsiders, or that I’m just a stupid, biased, blind “Anti” and we all know how they are! If you do any of that you’ll just be proving many of the points made in this article. Further, since I’ve just published fourteen (14) such articles publicly woodshedding the bad arguments of my fellow mainstream Christians I think that it’s fair to say that I’m more than willing to do with my “tribe” what Latter-day Saints refuse to do with theirs: Challenge it to be excellent and not “muff the ball”. So Latter-day Saints, I challenge you to go and do the same! The fact that these “one off” addresses are like loose spikes sticking up along the rails of historic Mormon orthodoxy can easily be seen by listening to the other addresses by other speakers before and after Mr. Uchtdorf’s at the very same General Conference or reading the articles immediately before and after Mr. Wilcox’s in Ensign magazine. They both contradict and undermine them. It should be noted that the rapid growth argument for Mormonism has been problematic since 1990 when growth flattened and activity rates began to decline. Reliable figures and analysis (derived from official Spring General Conference Reports) can be found here. To be clear here, temporarily excusing yourself from the conversation due to the rigors of life outside of the debate is one thing (that is unless you overuse this excuse to the point that you’re just using as it as nothing more than an escape hatch) but doing a permanent disappearing act whenever the going gets rough is something else. If you do temporarily excuse yourself due to life’s demands then make a point of returning and continuing the discussion when you can. Oh, and by the way, does it really need to be said that putting an Internet block or ban on your debating opponents – and thereby making it impossible for them to engage you or you them online – is the ultimate form of this bad argument? Yes, since this tactic is so commonly used (or put more accurately “abused”) by Mormon debaters on the Internet I think that it probably does! (President Hinckley, LDS General Conference, April 2005). (President Hinckley, LDS General Conference, April 2005, Ensign May 2005, 102). For an explanation of that Royal Priesthood reference see “Weak Arguments #12: ‘There is no priesthood anymore.’” And, yeah, since authority can only be given not taken, Mormon Priesthood Authority claims kinda fall flat if the other person doesn’t recognize or acknowledge it doesn’t it? For example, admit it, you kinda yawned or snickered at that “Royal Priesthood” thing when you read it didn’t you my Mormon friend? See my point? Define the term or words being considered and then adhere to the defined meanings. Don’t add meaning to established words and terms. What was the common usage in the cultural and time period when the passage was written? Avoid using words out of context. Context must define terms and how words are used. 4) Rule of Historical background. Don’t separate interpretation and historical investigation. Be certain that words as interpreted agree with the overall premise. Use the known and commonly accepted meanings of words, not obscure meanings for which their is no precedent. Even though many documents may be used there must be a general unity among them. Base conclusions on what is already known and proven or can be reasonably implied from all known facts. As noted in footnote 4, using testimony bearing as an argument or evidence is just a bad argument. Period. And before the “You’re a hypocrite – just look at the tone and content of your article!” phone calls, and letters start pouring in, this article was written in a tongue in cheek style that’s intended to mirror the same condescension, disrespect, snark, and sarcasm that are so prevalent in the weak arguments and tactics that are being addressed. If you’re offended by it then please consider how such behavior feels to others when it’s directed at them.